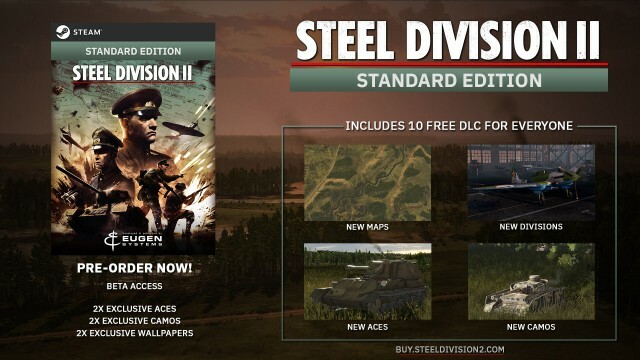 Steel Division 2 is now available for Pre-Order on this page! 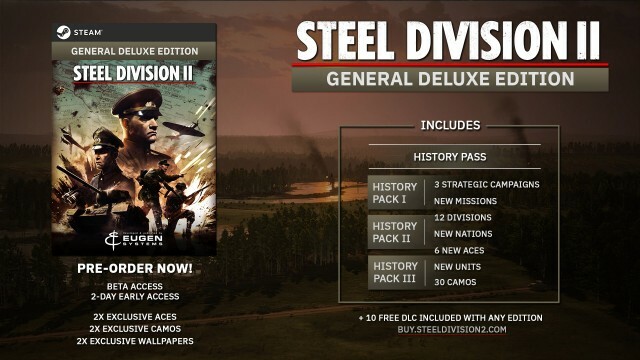 Pre-Order the game now to secure your access to the Beta and unlock exclusive bonuses at the game's release! 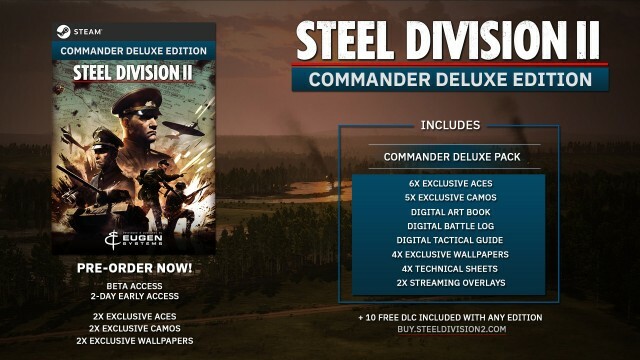 Check out this page to discover the different editions of the game and pickup the best for you, from the Standard Edition to the Total Conflict Edition packed with awesome stuff such as the Digital Art Book and tons of additional content for the game. 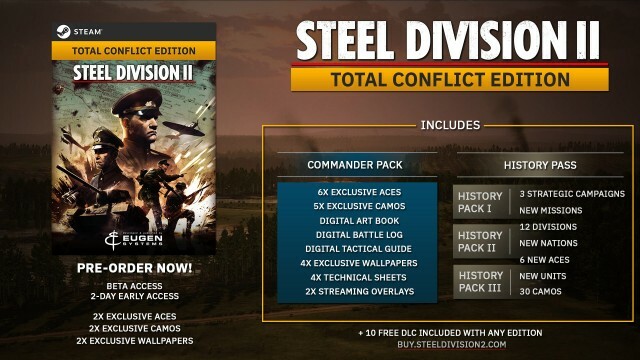 Last but not least, we're happy to announce that we will release 10 Free DLC for the game for everyone! Yeah, just like that. No in game interface screenshots or video of actual user interface? Gameplay videos? If you are asking for money you should be able to clearly demonstrate the actual gameplay, a video stream of a developer playing a campaign or skirmish would suffice. To be honest, I dont care about skins, I dont care about uniforms, how many stars are supposed to be on a hat or ground level video of tanks rumbling by. I'm assuming from the past titles this game will be played from a fairly zoomed out perspective. Lets be honest, the SD Normandy interface was pretty poor and the labeling was horrible. And I'm not knocking you, Eugen, I would like to see you succeed, wildly. I purchased everything you sold from LAB and RD and all the Nations Packs. Even tried SD, 2x. But if I buy SD:II now, basically sight unseen, I'm stuck with it. So help us out, show us the actual game. 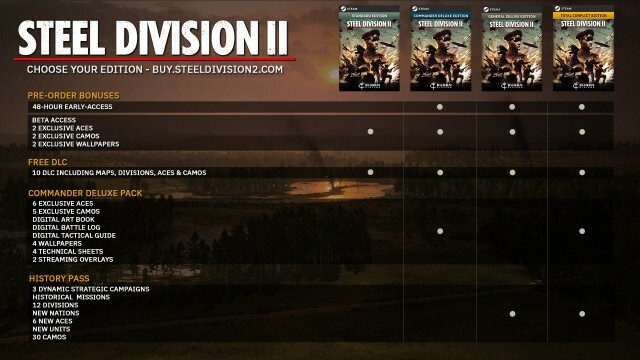 If I pre-order the game through any of the websites, will I be charged for the purchase on the spot, or will it only be deducted when the item is ready to launch/ship? mretsam wrote: If I pre-order the game through any of the websites, will I be charged for the purchase on the spot, or will it only be deducted when the item is ready to launch/ship? why do People want to buy on steam instead of HumbleBundle? and i couldn't find any Beta Date. When should it start? I bought it by Humble, I've got a payment and nothing else, no key, no further information about my transaction. Something is not right with it. Am I wrong or is this toy tank look getting worse from SD1 to SD2? I did not have this impression in Wargames.